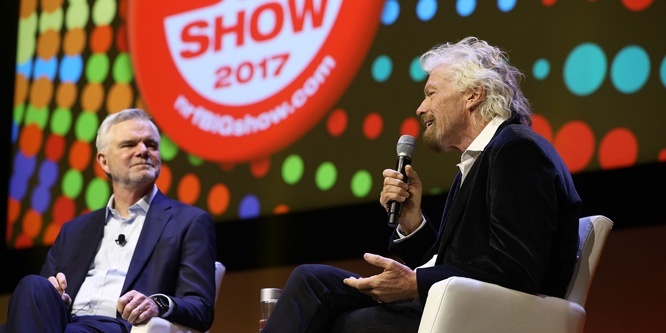 Sir Richard Branson at NRF: Are retailers looking outside the box? The Virgin empire now extends to over 400 businesses including soft drinks, airlines and a soon-to-launch first commercial space line. But the business started in retail with the Virgin Megastores record chain. This is an excerpt only from this full article on RetailWire.com.